If you're lucky enough to have a friend or family member who gives great advice, you know where we're going with this program. Working with an executive advisor is like having a neighbor who's a master gardener look at your roses. This is the closest you'll get to on-demand advice from a seasoned nonprofit leader, on pretty much any topic imaginable. Executive advising is a flexible and low-stress way to get organizational help. Executive advisors do not do consulting projects or write reports. They simply meet with nonprofit leaders and provide advice based on their experience managing nonprofits. You decide how much time you want to spend with an advisor, whether that's 4 hours total or 4 hours a week for several months. 501 Commons will recommend an advisor from the 50+ nonprofit professionals, board chairs, and former executive directors in our Service Corps. You meet each other and decide if it's a good match. If not, we will keep looking until we find the right match for you. From that point, you and your advisor work together to set up mutually convenient meeting times. We recommend that initial and final meetings be in-person, but standing meetings are often done over the phone. Executive advising is similar in format to our Coaching program, but focuses on different issues. Through executive advising, you work with an experienced nonprofit professional to work through tough management issues, identify new strategies, and make decisions. The coaching program pairs you with a certified coach to focus on personal development and leadership skills - things like time management, work-life balance, and interpersonal relationships. Executive advising often helps a leader consider tough issues, such as staff changes, deciding how to make program cuts, brainstorming earned income strategies, planning for a leadership transition, or considering a merger. With major changes, it can be helpful to talk to someone outside of the organization before presenting your ideas to staff or board members. Among the important benefits of working with an executive advisor is that he or she can provide perspective, be a voice of experience, and provide a safe environment for exploring new ideas. An advisor can also serve as a mentor and guide for a new executive director. 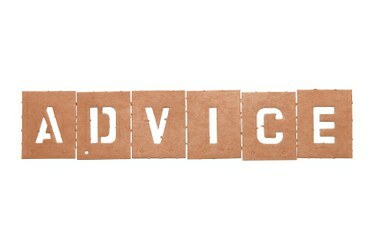 Providing a new executive director with a few hours of advising time is one of the best investments a board can make.